You can never have too many ideas for OT tools and pediatric ot activities because it is always good to mix things up and to make progress with patients. But constantly coming up with ideas for new OT tools and activities can be a chore and sometimes costly. 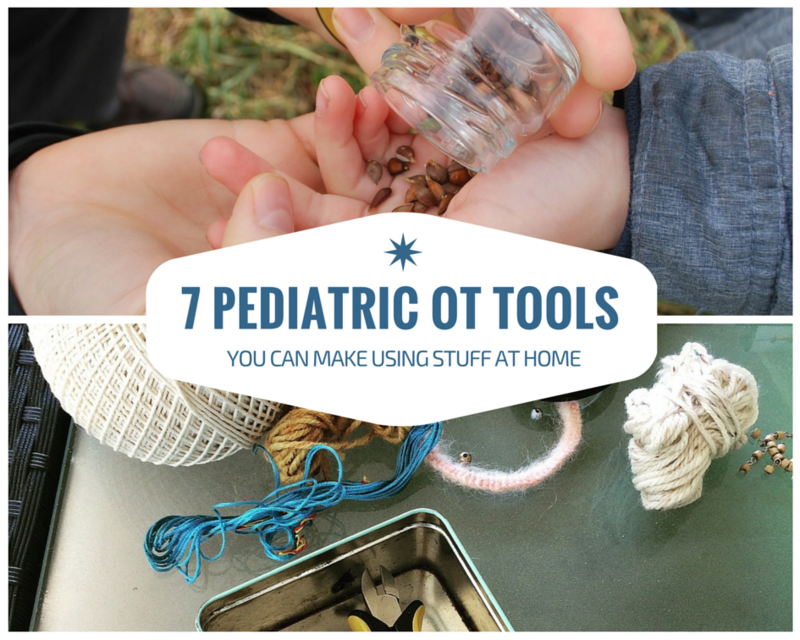 The good new is, you probably have quite a few items laying around your home that make for great pediatric OT tools. We like sharing the best pediatric occupational therapy tips. So, you’ve come to the right place to save time and money while growing and improving your pediatric ot activities. Next time you are working with a child, make sure to check around your house for the following items that you can incorporate into your pediatric occupational therapy. Here is a list of 7 common items and how you can use them as tools for OT with kids. 1. Cooking Tongs – Use the tongs to practice picking up and sorting items by placing them in piles. Great for introducint and practicing how to serve food. 2. Paper plates – Using a stack of plates stuck together, have children practice separating them for improving dexterity and hand strength. Also have them practice counting and sorting them into piles, you can color them or cut them into different sizes to create groups. 3. Playing cards – Cards be used in many ways to improve concentration, sorting, memory and more. 4. Clothes Pins Use clothes pins for practicing grip strength by squeezing the clothes pin shut. 5. Phone books – Tear out phone book pages, show the kid how to crumple them up to practice grip strength. Then introduce a recycling bin as a hungry animal and show them how to feed it the crumpled paper. 6. Ice cube trays – Put pebbles or marbles or assorted items inside of the ice cube tray to practice motor skills, sorting and matching skills, and fine motor skills. 7. Q-tips and cotton balls Kids can use both for painting and practicing writing shapes and letters. There you have it, a nice list of things around your house to use as occupational therapy tools. And as promised, here are few more lists and posts for you to checkout for even more ideas for occupational therapy tools! If you’re on a budget but need more ideas for OT tools, checkout this list of 75 OT tools you can make for under $1! A lot of OTs and OTAs that I talk to are looking for ideas for sensory integration tools, well here is a great resource for that: 26 Sensory Integration Tools for Meltdown Management. And finally, who doesn’t want a detailed list with pictures of exactly what they should have in their occupational therapy tool box? Here you go, What’s in My Therapy Box? : 60+ Supplies for School-Based OTs. Ok that should keep you busy for a little while 😉 Seriously though, bookmark these posts if you’re looking to expand your OT tools lineup. Make sure to follow us on social media and subscribe for regular pediatric occupational therapy tips and tons of pediatric ot treatment ideas right to your inbox!